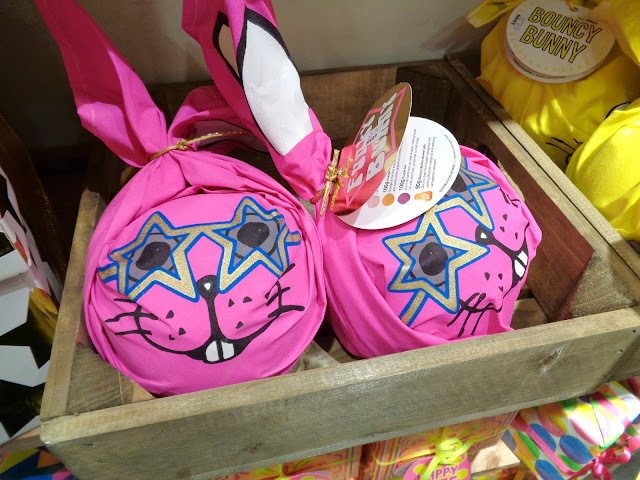 On Thursday I headed up to Lush Sheffield to take a look at this years Mothers day and Easter products. 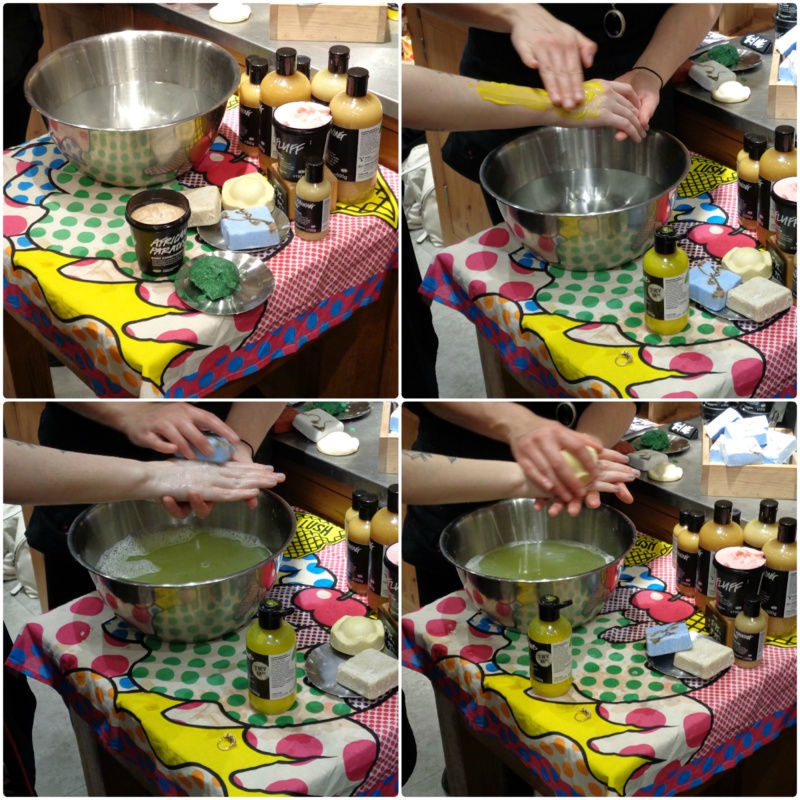 The lovely Lush ladies had set up four different activities for us to work our way round including a look at this years Mothers day and Easter products, make your own Comforter/Butterball, a skincare consultation and a shower cocktail. I started off by hearing about this years spring products. Although it's Mother's day today I believe at least some, if not all of the Mother's day products are actually staying on with the Easter products until they're no longer available. So there's still plenty of time to grab some if you want to try them yourself. If you're interested in any of the gift sets it's probably best if you pop in store and take a look as there's so many of them and I'm not sure what's in each one. 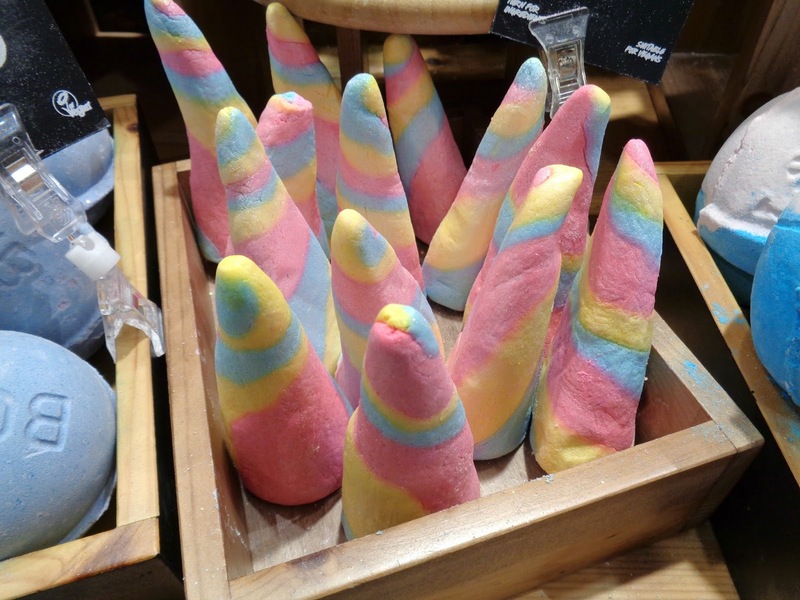 A couple of the bath bombs were demonstrated for us. Rose bombshell starts off fizzing away with a candy pink colour but as it gets to the middle it then starts to release a dark red colour and some rose petals that then float on the water. Golden egg isn't the sort of product I usually go for due to all the glitter but I was actually really impressed by this one. 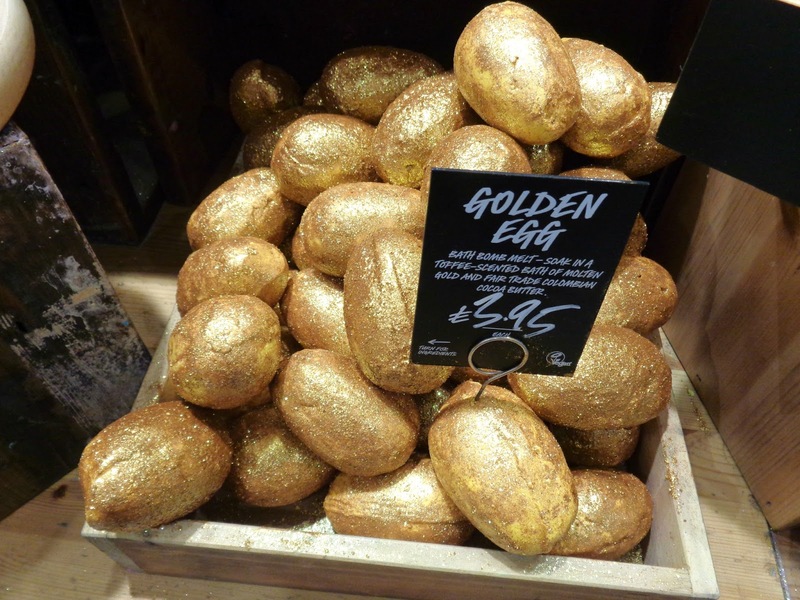 Although this is completely covered by gold glitter this is only actually a thin layer that it releases into the water instantly when dropped into the bath. This starts off as a melt which means it melts really slowly before it then gets to the bomb in the centre when it then fizzes away. Although it's quite an expensive bomb at £3.95 for a single use this keeps going for probably about 10 minutes, so is one of, if not their longest lasting bath product. 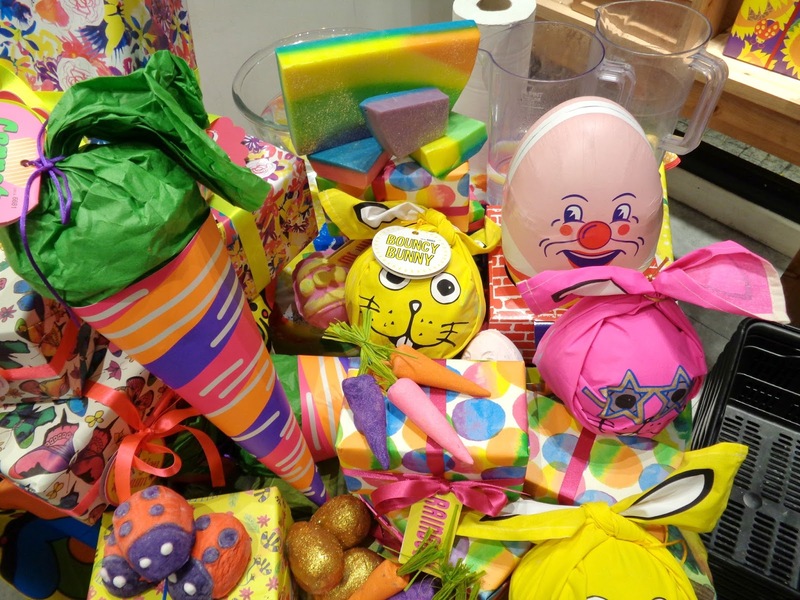 Which came first was available last year but was called Immaculate Eggception. They only have the pink ones at the moment but the yellow ones are on the way. You crack this open to find a chick inside so you can get three baths out of this one. Humpty Dumpty works in the same way but you'll find a fried egg inside. I got to take a Humpty Dumpty away with me but unfortunately there was something wrong with mine. He was really difficult to crack (I had to result to smacking him on the floor) and my egg inside wasn't separate but had merged with the rest of the bath bomb. Bunch of Carrots is back again but this year you get an orange, pink and purple carrot rather than three orange ones. 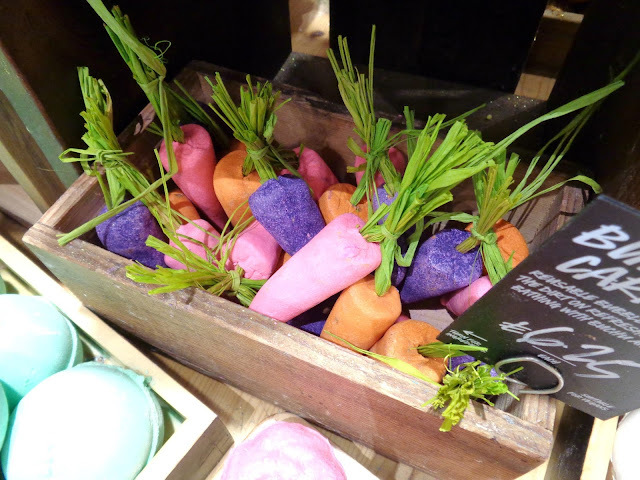 Each carrot will give you a corresponding coloured bath, so you can either use them individually or try them altogether to see what colour you get. Both this and Flowering tea are reusable but when you get to the end of Flowering tea you're rewarded with flower petals hidden inside the 'tea bag'. I didn't actually experience the shower cocktail myself but I did watch somebody else's go. This involved using a 'cocktail' of products you might use in the shower and just after. The one I watched involved starting with Yuzu and Cocoa shower cream (which I really need to get my hands on because it smells amazing), followed by Rub Rub Rub the solid body scrub (I love that that rhymes!) and finally King of skin solid body butter, which you'd apply after getting out of the shower. I've actually make my own Comforter bubble bar before but made another one at this event. The stuff you make it with is so satisfyingly squidgy and of course it smells absolutely amazing. This time I was shown a different way to make it. Last time involved making two balls and rolling them together on a board with your hands into like a cone shape and then flattening it. This time we made the two parts into sausage shapes and then twisted them together. I haven't looked at mine yet as it's still hardening (at the time I wrote this) but I think it's far from perfect! I probably should have made a Butterball bath bomb as I'm really missing the Christmas limited edition Butter Bear and this is the same product, just not bear shaped. This involved having a chat about what Lush skincare products I've used before and which ones I like and trying out some ones that I haven't tried. As usual this involved the careful checking of ingredients to double check that none of the products used on me contained lavender. Some full of Grace was applied to the backs of my hands (which is a solid cleanser I do own) and then a different face mask was applied to each hand. One was Ayesha and I thought the other one was Love Lettuce, although I'm not sure now because looking at the ingredients Love Lettuce contains lavender. I've not tried a Lush moisturiser before so this was followed with trying a bit of Celestial on the back of one hand. Thank you to Lush for inviting me along to take a look at their spring releases and thank you to the Lush Sheffield ladies for making it a lovely evening. 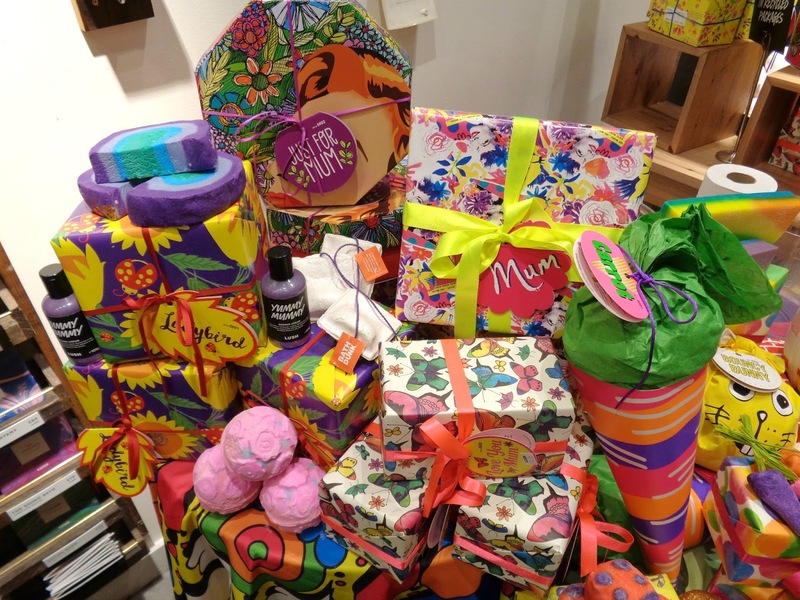 Have you treated yourself to any Lush spring products? 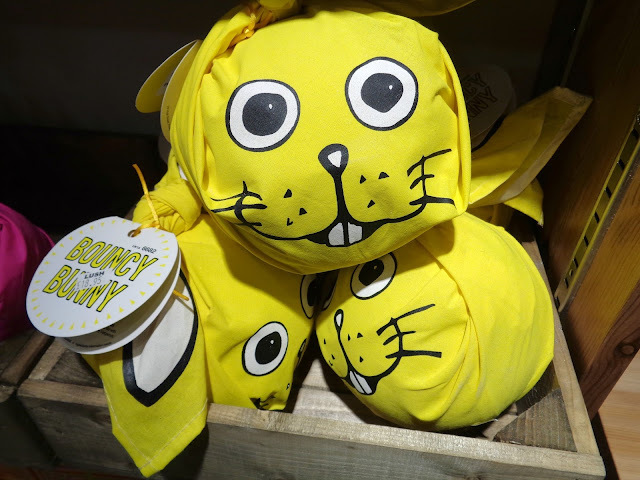 Those Spring products look so cute - I'm going to have to go and purchase some! I love the carrots, I've just ordered some!